In the Himalayas, in order to preserve a small dam, a downstream village decides to pay an upstream village to cease the grazing that causes soil erosion and the accumulation of silt. In economics, this is an example of “payment for environmental services” (PES). When payment compensates for the opportunity cost of lost income, PES is seen as a useful instrument for the preservation of nature. However, this method of valuing nature can also have its pitfalls. Keywords: willingness to pay, opportunity cost, Coasian bargaining, payment for environmental services, transaction costs, community property rights, CDM, REDD, forests. The dejected eyes of Kartar Chand Rana, 52, panned the breached checkdam in his village, Kuhan. As head of the Gram Vikas Samiti (a local committee) he had had to order the breaking of the embankment of the very dam that fed his four hectares until last year. It was the best thing to do under the circumstances. The dam had silted over and the only way to clear the reservoir was to break the wall and let the water wash all the mud down. The immediate cause of the blockage: the dumping of debris from the construction of a Public Works Department (PWD) road that connected Kuhan to the highway. Kuhan had petitioned the PWD to pay for the reservoir’s clean-up, but to no avail. After many somber discussions in the village square the farmers took the tough decision to breach the dam wall in the pre-monsoon of 2007. Now they are collecting funds to install iron gates to plug the breach and prevent similar problems in the future. Kuhan is tucked far away in the hills of Himachal Pradesh’s Kangra district. It is typical of this region that receives high rainfall and yet faces water shortages due to lack of storage facilities. In 2003 the village pooled resources and with some help from a watershed development project and constructed a checkdam on Gulana Khad, a nullah (creek) that ran across the village. Its fortune changed overnight. With irrigation now available crop production was able to increase by six times; it became possible to grow vegetables and fruits for cash. The honeymoon lasted only a year. By 2005 the reservoir had collected silt and its capacity halved. The worried villagers looked for a lasting solution. There was no quick formula they could apply here. With help from Winrock International, a non-profit organization, the villagers diagnosed the problem and came up with a unique prescription. Most of the silt came from the grazing land of Ooch village, high up the nullah, something had to be done about it. How? Why should villagers of Ooch work or sacrifice anything to solve Kuhan’s problems? No sacrifice was needed. Both villages discussed matters related to saving the dam and reached a formal agreement. This is a case of Coasian bargaining. Ooch banned grazing for eight years on its four-hectare common land and planted saplings of fruit, fodder bearing trees as well as bamboo and elephant grass. In exchange, Kuhan paid for the saplings and even worked out an arrangement to sell irrigation water to Ooch as and when required. The silt load in the nullah reduced and the villagers rejoiced again. That was before the PWD entered the scene and destroyed all that the villagers of Kuhan and Ooch had done to save the checkdam. “We entered into an eight-year agreement with Ooch to save our checkdam only to break the dam ourselves,” lamented Rana, who won, lost, won and lost again the battle to secure irrigation and therefore prosperity for his people. “The dam opened our eyes to the problem of erosion in our area,” said Purshottam Singh, 66-year-old farmer who participated in the project in Ooch. Singh felt the joint project was as beneficial for Ooch as it was for Kuhan, if not more. It stemmed erosion and gave the village more fodder and beneficial trees in the bargain. The agreement between Kuhan and Ooch still stands. It is an example of how relations between two villages can be reworked to mutual benefit, centred on natural resources. The written agreement as negotiated between the two villages is what is called “payments for ecosystem services” (PES) in contemporary natural resource management parlance. The idea behind PES is to first identify environmental services or ecosystem services. These can be anything, from clean water, clean air, flood control, creation of soil, food production, fisheries, timber production, carbon sequestration to countless other benefits that underpin human wellbeing. Identification of an ecosystem service implies that people understand its importance and want to preserve it or use it over a long period of time. For this they are willing to pay. As there will always be providers of such services, there will be willing sellers. Thus, under PES we are finding markets for ecosystem services where users directly pay the providers making the system voluntary and flexible. This concept is gaining ground around the world. In India the concept is relatively new. For instance, in the Kuhan case, water is seen as an ecosystem service. 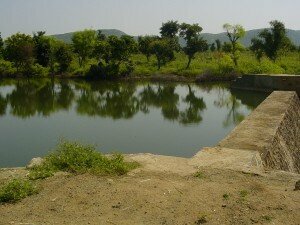 Ooch is provider of the service due to its role in maintaining the health of the nullah. We have a buyer-seller arrangement that can be brokered. Since Ooch had to compromise on grazing to save the water from siltation, Kuhan, being the beneficiary, compensated for it. This paid for the opportunity cost – the income sacrificed by Ooch for not grazing. Kuhan generated its own funds to pay Ooch when it delivered an environmental service. Winrock International, the NGO, through facilitating the agreement, helped reduce the transaction costs. To extend the logic of the Kuhan-Ooch joint venture to forests, people will want to conserve them if they are paid to do so. Kuhan is an important example, albeit on a small scale, not only of a successful PES model, but also what it implies for the future of resource management. There are lessons here for policymakers. The idea of PES gained momentum worldwide with the release of the Millennium Ecosystem Assessment (MEA) in 2005. The MEA recognized that benefits accrued from natural ecosystems were widely recognized but poorly valued. “Increasingly it is becoming clear that traditional economic concepts like GDP only reflect economic values leaving out the state of natural resources. One might know the rate of growth of a country’s economy, but still have little idea about whether this growth is sustainable”, agrees Rajeev Semwal, ecologist, consultant with a non-profit organisation, and proponent of PES. Payment for ecosystem services is calculated using a variety of methods by ecologists and economists. One way is Net Present Value (NPV) calculator. NPV assigns value to the forests in India. It is calculated by counting timber and non-timber products and the forests other services, calculating the value today and applying a discount rate. This value must be taken into account when destroying forests due to the construction of a dam or a forest. It is an additional cost to be paid for the diversion of forest land. An important tool for making users pay for natural resources is mandatory compensation for projects converting forestland as per the Forest Conservation Act. All of this money is collected in a central fund called Compensatory Afforestation Management and Planning Authority (CAMPA) There is at present over Rs 6000 crore (crore is 10 million rupees) lying unused in this fund. The problem is that it is tricky to value most environmental services. For instance it is easier to calculate the value of trees by looking at their timber value, fruit value, etc. but if one is to think of ecosystem services provided by a forest, like water retention, aesthetic value, home for other animals and plants, putting a value becomes complex and difficult. Then again, as Vikram Dayal, Research Faculty, Institute of Economic Growth, highlights, “collection of NPV or CAMPA funds is one thing but there is no clarity on what is to be done with the money”. These payment systems, he believes, have highlighted a lack in policy direction in the country. This is likely to have serious implications if PES was to become a tool for conservation. Dayal was part of another study commissioned by WWF India that looked at examining the scope of and opportunities for introducing suitable economic instruments, including PES. The study was carried out in three sites – Gangtok, Shimla and Munnar. It calculated costs and benefits of two specific services, urban water services and landscape beauty. The results will be used to assess and identify opportunities for broader application of PES. “In Himachal, PES is already working in the Great Himalayan National Park where communities are paid Rs 5000 annually if no fires occur in the area they patrol; but there is no formal regulatory mechanism to say that you paid for this service”, said T R Manoharan, Senior Coordinator of Forest Policy and Economics, WWF and co-leader on the economic instruments project. Clearly, Dayal and Manoharan find the government unprepared to adopt the PES model or the buyer-seller arrangement for resource management. Sejal Vora, Programme Director of WWF India was optimistic. She spoke from her experiences in the WWF study: the private sector was quite happy to pay for these services as it made their access to resources easier but the public sector still seemed reluctant. “The good thing is that nobody rejected outright the idea of paying for using an environmental service”, she stated. Valuation of ecosystem services forms the basis for informed decision-making. “One needs to examine both the way numbers are made and how effectively they help shape policy decisions that can be widely accepted,” Dayal summarized. On a note of caution he added that some market-based methods were best thought of as coming up with minimum prices of services, as they often did not consider the harder-to-value components of an ecosystem’s worth like clean air. Even Semwal felt monetary estimates were easy to comprehend, but hid assumptions, approximations, and simplifications. They measured only certain kinds of value, but they also integrated information about supply and demand, of what is important to people, however imperfectly. In 2006 a study by the Indian Institute of Forest Management (IIFM), Bhopal pinned the numbers on Himachal Pradesh and Madhya Pradesh’s forest wealth. It puts the money value of Himachal’s forests at 1 323 000 crore including the value of services they provide. “Our watershed services alone are valued at 106 000 crore annually, so why should the state not earn money from its resources?” asks Dr. Pankaj Khullar, PCCF, Himachal Pradesh. He added that it is difficult for the central government to allocate such funds to states and therefore the PES model adopted at the state level would really be beneficial if the funds generated are kept by the State. The 12th Finance Commission (2005-10) for the first time recognized the need to invest in resources and earmarked Rs 1000 crores for 5 years to be given to states for preserving forests. Himachal Pradesh’s annual share was Rs 20 crores, a pittance compared to the standing value of its forests. Given the money they can earn by selling forest resources, this is obviously not enough incentive to preserve forests. This is one of the ways valuation of resources can be counter-productive. If those who provide eco-system services are not paid, they can argue they have no incentive to continue providing a service that in the past they provided without even thinking about. The State government therefore took steps towards realizing the value of these services by trading them through the World Bank as carbon credits. Himachal Pradesh Chief Minister, Dr. Prem Kumar Dhumal, is upbeat about the development. “We aim to preserve our forests and the over 20 year-old green felling ban in Himachal is a testimony to that”, he stated. “With increasing demands for resources and to provide people with livelihoods, it became important for us to look for alternatives to government funds and the World Bank provides one” he added. The project, Mid Himalayan Watershed Development, awaits validation. The Bank will invest in the preservation of 20,000 ha of land as forests. Himachal intends to use the Clean development Mechanism (CDM) as another vehicle for PES. This discussion however, highlights a very important fact. CDM does not consider standing forests and excludes the community by entering into an agreement with formal institutions like the government. “Untouched natural forests store three times more carbon dioxide than previously estimated and 60 % more than plantation forests,” states Chetan Agarwal, Head, Natural Resource Management, Winrock International, and the facilitator behind the Kuhan – Ooch agreement. Given all this, PES models like the Kuhan –Ooch agreement, might just prove to be a good means to save old forests and their services. The post-Kyoto Reduced Emissions from Deforestation and Degradation (REDD) scheme aims to provide payment for reducing deforestation. As Agarwal also pointed out, “even if one were to engage in CDM projects, fluctuation in the rate of carbon credits would mean uncertainly for the people who invest in these”. PES is clearly a positive development but one that requires clear community rights over resources to succeed. Agarwal adds the example of central India where the government never really engaged with tribals to settle their rights resulting in large tracts of land being classified as forests. The result is conflicts that prevail in the region ever more today. He further cautions that while valuation strengthens his case, it also works the other way in defining what to let go. In the process of preserving certain services, what we don’t preserve also deserves attention as it might serve some different purpose in the future. Agarwal adds, “One needs “sweat equity” – what the community puts in or invests in conservation to be also computed in the cost of resources”. Vora concludes by pointing out that with the governance structure and policies not conducive to PES, value as well as payments for ecosystem services is still contentious. Therefore, small scale application of PES is possible but large scale adoption is still too complicated right now. *Note: This chapter is based on an article previously published in CSE’s “Down to Earth”.